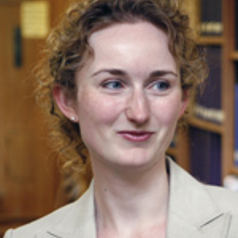 Emma Hitchings is a Senior Lecturer in the School of Law at Bristol University. Emma's main research interests lie in the field of family law. Since 2007, she has been the academic member on the Family Law Committee of the Law Society of England and Wales and in 2010 she was appointed as an advisory board member for the Law Commission (Marital Property Agreements). The main focus of her work is in the area of financial provision on divorce (previously known as ancillary relief) and family justice.